Vodafone expects 2G and 3G prices to converge in the future. Telecom operators may increase 2G data prices in the near future in order to push first time smartphone users and existing 2G users to a faster 3G network. However, 3G data prices are unlikely to go further down, considering telcos recently slashed the 3G prices. These views were expressed by a Vodafone India's business head for Delhi Subrat Padhi on the sidelines of an event. "We brought down 3G prices about four months ago and we expect that 2G and 3G prices are going to converge in the future," Subrat Padhi is quoted as saying. Revealing company's plans for future, the executive said Vodafone is aiming to increase its 3G users by making them aware about faster browsing experience and benefits. The telecom operator also revealed out of its 160 million subscribers only a fourth are using smartphones, of which only half are on 3G network. Vodafone and several telecom operators last year slashed 2G data tariffs by up to 90 percent. With voice and VAS segment stagnating, telecom operators are now looking to tap the data segment. However, relatively steep 3G data tariffs have decelerated the growth. Back in 2012, a brief 3G price war between telcos helped propel 3G adoption in the country. 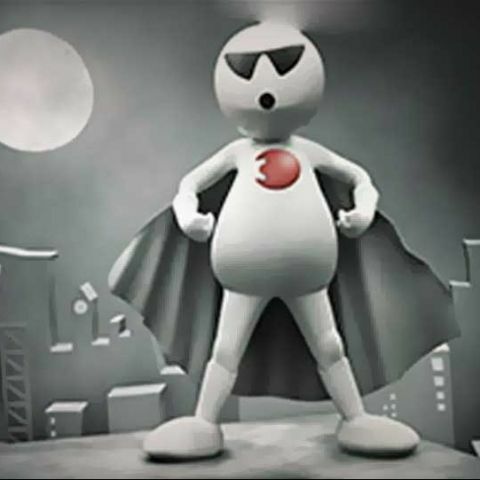 Like other telcos, Vodafone has launched campaigns to boost its 3G users base. Last year it launched a 'Be Smart' initiative, under which the operator encourages users to use the third generation wireless system for accessing content on their smartphones. “The new ‘Be Smart’ initiative projects real life situations with popular mobile applications ranging from videos & music, navigation, social networking, online gaming, live stock market updates etc. It engages with the audience communicating the message of ‘Smartphones are incomplete without Vodafone 3G’, in a stimulating and interesting manner,”said Vodafone in a release. Vodafone or Airtel for 3G ? What is the exact meaning of 2G, 3G or 4G ?